I'm keeping it super simple this year -- a few pumpkins here a new wreath there and we're done. I feel like I finally have all my regular decorations in exactly the right spot, so why would I want to move them all around for seasonal decor? But it doesn't mean I don't like looking at the way other people decorate. Here's what I'm loving on pinterest (just pretend it's what I would do if I was doing anything this year). As you can tell, I really like simple decorations with lots of neutral and natural elements. I LOVE the idea of white pumpkins in a home, such a cute idea! 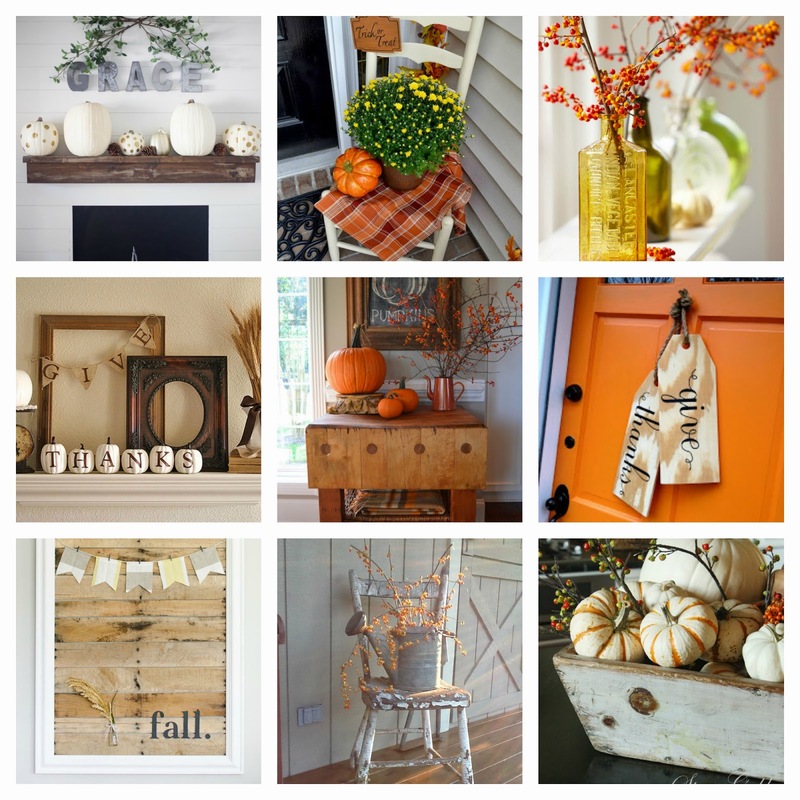 This year, we pretty much skipped fall decor. I have a few pumpkins on the porch. But with selling the house, I wanted to keep it simple. I love all the inspiration, though!